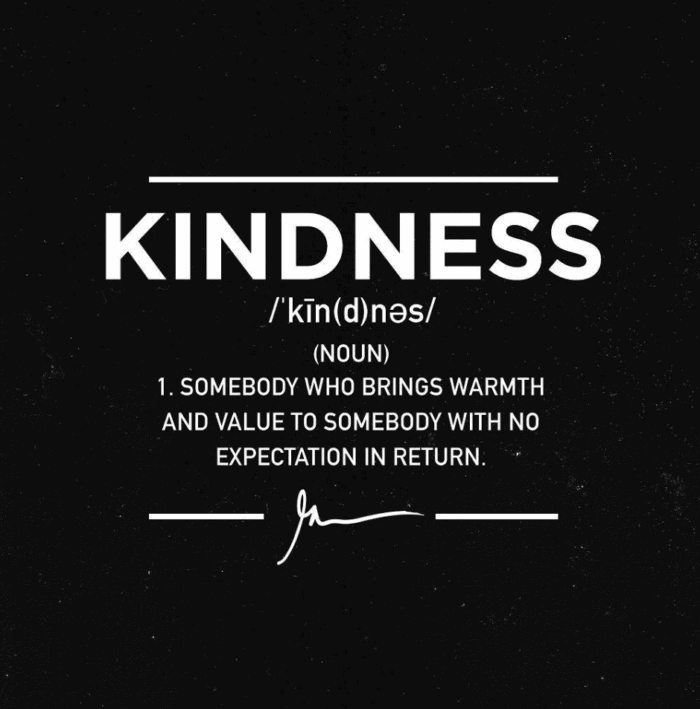 Kindness is the biggest strength in business and in life — I hope you use these kindness quotes as reminders to deploy more empathy and generosity every single day! To me, there’s no debate that kindness is a strength. And it breaks my heart to know that so many people believe it’s a weakness. But the truth is, those who take advantage of your kindness are weak on the inside. Feel bad for them, don’t let them make you feel bad about yourself. People who are truly kind have the ultimate leverage. If you give without expectation of getting anything in return, you’ve won. There’s so much happiness and abundance in the world! I’m always so happy for other people when they win because it’s not coming out of my pocket. I’m going to “get mine” regardless. Being “kind”, “good”, and caring is how you leave a legacy. It’s why kindness is one of my biggest values. I want the admiration. Sometimes people can get away with bad behavior in the short term, but kindness and positivity will always win the game. The problem is, so many people just look at who’s winning in the first and second quarter. They just look at who’s leading at halftime. But in the macro, if you’re kind, you’ll be rewarded. You’ll win. Someone is always watching. Most people who think that “kindness is a weakness” or “kindness doesn’t work” are giving with expectation. 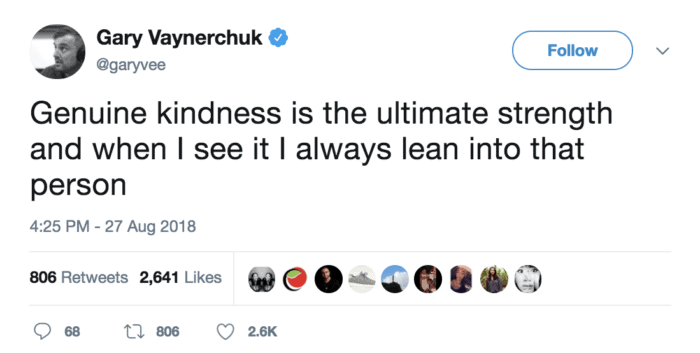 When your “kindness” is loaded with “ask” on the back end, people can smell it from a mile away. If you’re using your kindness as disguise to get what you want from the relationship, you will lose. A funny thing happens when you give without expectation. A lot of good things start coming back to you. 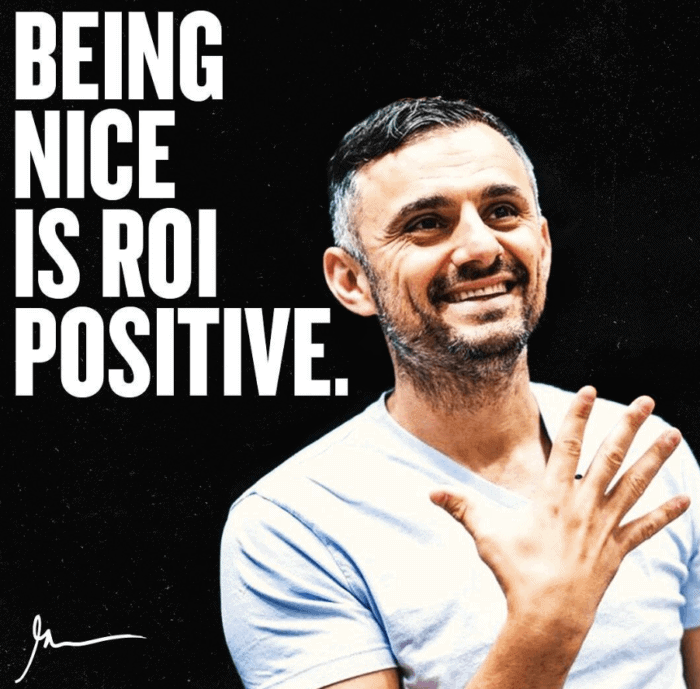 Kindness is unbelievably ROI positive in business. 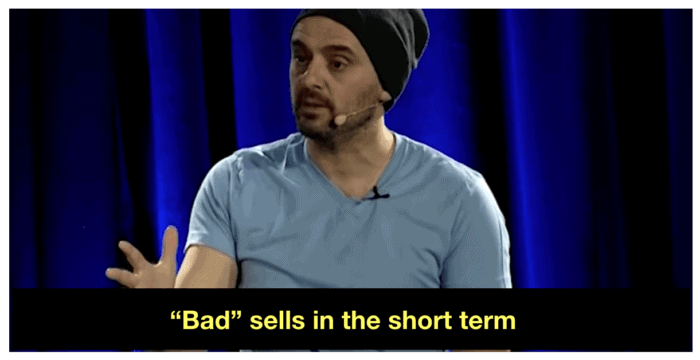 But the problem is, a lot of companies don’t realize this. They get caught up in maximizing 90-day numbers at the expense of how their employees are treated. 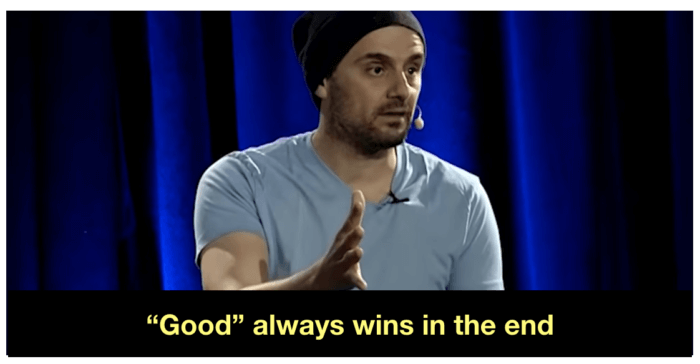 That’s why so many companies lose long term. My ultimate ambition is to make empathy, gratitude, patience, and kindness “cool.” I want people to look at those those traits as “alpha male” characteristics. I want kids to aspire to be kind instead of aspiring to be the type of person who flashes fancy stuff on Instagram. I sent an email to all employees at my company about kindness and why it matters it so much. 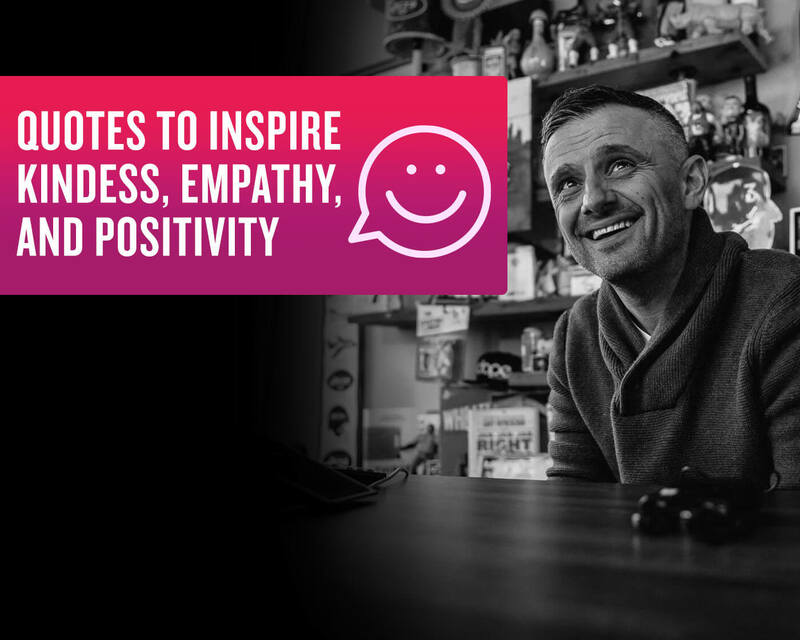 Kindness is super important to me, especially when it comes to the work environment I create for my employees. If kids think I’m “cool”, they won’t be talking about Ferraris and gold watches. They’ll be talking about hard work, humility, empathy, and kindness. So many kids feel pressure from their parents and from society to “win” at an early age. And because of that, they resort to short term behaviors might lead to “success” at a young age, but damages their reputation in the long term. They’ll hurt their chances of long term success because they’re chasing short term wins. I want kids to point to me and use me as their “shield” that gives them confidence to push against their parents and society go all in on what they want to do. We need to make a commitment to making positivity louder. Truth is, it’s an incredible time to be alive right now, and we all need to do a better job of being “loud” about it. A lot of people think of leadership qualities as “paternal” — qualities like being aggressive or stern. I think of them as more “maternal.” I think the best managers have caring, empathetic, kind personalities. If you make a commitment to giving 51% of the value in the relationship, you will win. It’s just a smart thing to do, both in business and in life. When you give a lot, you build a lot of emotional capital. You grow your reputation significantly. And the people you impacted will eventually come back and impact you. If you’re deploying kindness to a person who’s not rewarding to right away, someone who watched that happen will notice the sort of person you are. And they’ll reward the kindness. Even if you’re in a confined space with no one else around, the person who’s not returning your kindness might change in 15 years. And then, they’ll remember the sort of person you were. Over money, over fame, over everything. It’s easier to be kind when you’re happy on the inside. 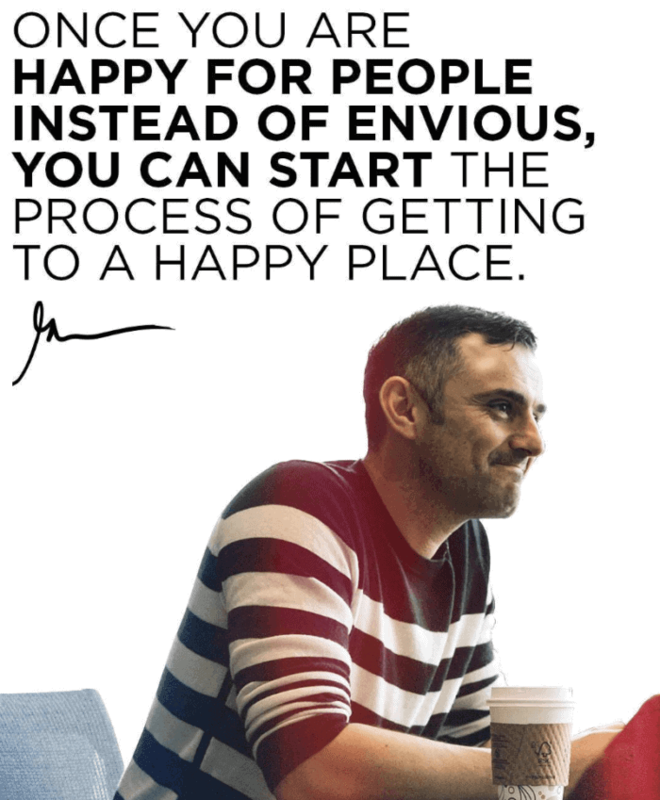 When you’re happy, you want everyone else to “get theirs” too. You don’t feel the need to drag other people down. 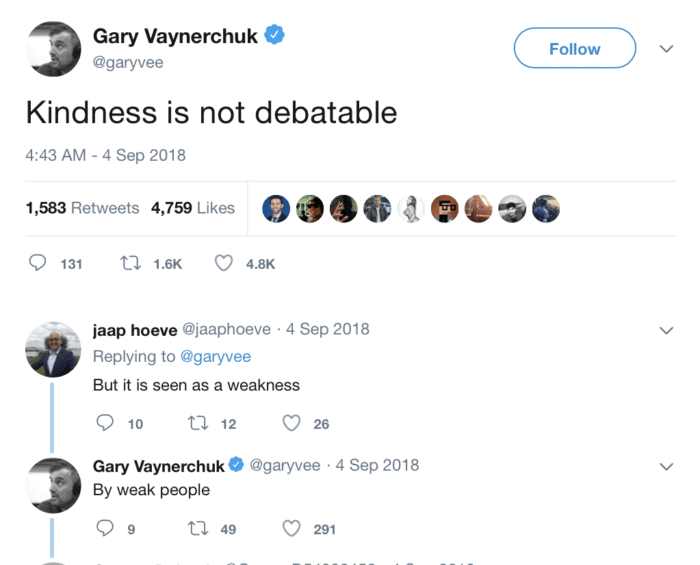 People who say that “kindness is a weakness” are just insecure themselves. This is one way to be happy no matter what. The reason I’m always so pumped is even though I’m so generous is because I don’t expect anyone to come through for me. People can’t take advantage of me because I’m playing a different game. I want to build massive businesses and buy the Jets, but I want to do it while also being a good dude. I want to build the “biggest building” in town without tearing down anyone else’s building. Kindness is how you win the game of life.